Electricity will kill you if you contact live wires or components. Ensure the power supply is isolated from the pump, controls and switches before carrying out repairs. A pump that is not working may still be live. Fault finding and repairs must be carried out by a trained and skilled operator. 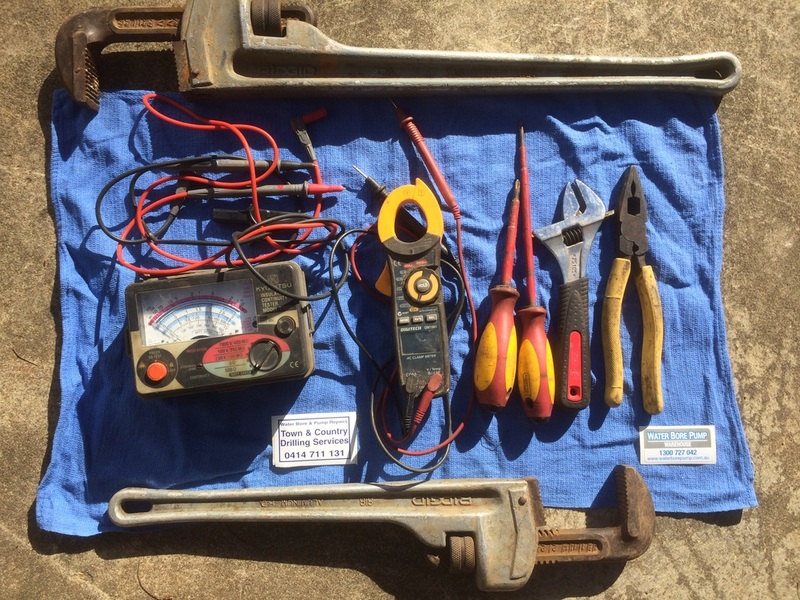 Tools required - mulitmeter, Megg Ohm meter, screw drivers, adjustable wrench and pipe wenches. Is pump working? If yes - leave it alone. If the circuit breaker has tripped try resetting it. Sometimes a power supply fluctuation my cause a nuesence trip. If it trips again a short or overload condition is present. Isolate power supply and check with the multimeter to ensure it is safe. Disconnect the pump drop cable from junction box, pressure switch or pump controller and reset circuit breaker. If the circuit breaker trips again the fault is above ground in a cable, switch or controller. If circuit breaker didn't trip again with pump disconnected. The fault is below ground . The next test may be to Megga the drop cable and motor with Megg Ohm meter. A measurement of a low resistance of the motor windings to earth will indicate the fault in the drop cable, pump or motor. The pump will need to be removed and tests carried out on the motor and cable separately. Has the pump controller or protection device tripped out? Follow the instructions for that type of device. It may have saved the pump and motor from damage, the fault may not be present now and pumping may return to normal. If a protection device is not used external switches like a pressure switch, flow switch of level switch may have not allowed the pump to start. Check the power into and out of the switches. These switches may be temporarily by-passed to test the pump. If power is available to the pump via the drop cable is the water pressure increasing or can water flow be heard? A blocked filter or damaged valve may be stopping water flow from the pump. If power is available and water flow or pressure can not be found the next step is to pull the pump and motor from the bore. The motor may be open circuit, the pump may have failed, the drop cable may be open circuit or the pump and motor may be operating and all the pumped water may be leaking from a hole in the pump column. We have a crew of Submersible Pump Technicians based in South Australia servicing Adelaide and the Adelaide Hills. 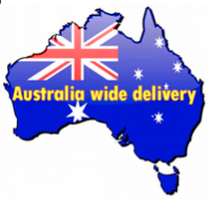 Our network extends throughout Australia.